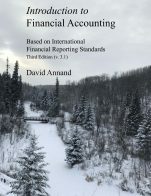 An introductory textbook in business that covers a variety of topics: The Foundations of Business, Economics and Business, Ethics and Social Responsibility, Business in a Global Environment, Forms of Business Ownership, Entrepreneurship: Starting a Business, Management and Leadership, Structuring Organizations, Operations Management, Motivating Employees, Managing Human Resources, Union/Management Issues, Marketing: Providing Value, Accounting and Financial Information, and Personal Finances. 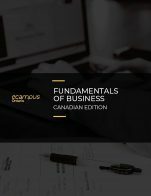 Fundamentals of Business Canadian Edition cover by eCampus Ontario is under a CC BY-NC-SA 4.0 Licence (https://creativecommons.org/licenses/by-nc-sa/4.0/). 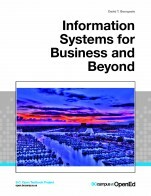 Fundamentals of Business - Canadian Edition by Business Faculty from Ontario Colleges and eCampusOntario Program Managers is licensed under a Creative Commons Attribution-NonCommercial-ShareAlike 4.0 International License, except where otherwise noted. 1) Sources - many are from Wikipedia which would be unacceptable sources for University papers. This is directly from Wikipedia: "Wikipedia is a tertiary source and is rarely appropriate as a citation for academic, business, or journalistic research." - Topic on NAFTA indicates that people feared manufacturing would leave Canada for Mexico, but their fears proved incorrect. There is no data to support this assertion presented. Later on in the text book, the material describes the erosion of Canada's manufacturing sector and the increase in the service economy, which seems to contract the point. - Incorrect or incomplete definitions or Branding exist in Chapter 13 which seems to imply Branding is just picking a name and logo / trademark. - Entrepreneur seems to be defined in a way which excludes small business owners in Chapter 6. - Tax information on Chapter 5 is incorrect relating to corporations. - In the quiz in Chapter 5 the question states: Sole Proprietorship is appealing as owners bear unlimited liability with an answer of "True" - Yes it is true that Sole Proprietorship has unlimited liability, but it is NOT appealing. - Chapter 7 seems to use some incorrect concepts implying Democratic style of leadership, which seems to be describing a more Socratic approach as leaders do not take votes, but solicit discussion. - Many other examples of theoretical points, which could easily be supported by statistic examples / models (such as cost of inventory. A chart indicating a reduced cost of inventory with larger purchase quantities (downward sloping line) intersecting with an upward sloping line of increasing costs of inventory (storage / obselete costs / etc) to clarify points. 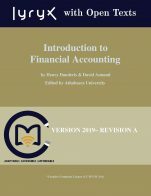 (Chapter 9) Business students should be taught the numbers as well. - Simple control charts could be used and briefly explained. - Chapter 10 - Two Factor Theory Graphic doesn't seem to make any sense. - Chapter 14 quiz incorrect question - to determine how much is SPENT on supplies, you would have to check the income statement for "Costs". To determine how many supplies you have, you could check the Balance Sheet. Yes it could be argued you could compare tow BS, but the better answer is check an expense on an income statement. - Chapter 14 again Apples profit is described as 15%, where it describing a 15% increase in revenue (or profit - can't remember for certain). - Chapter 15 - In the quiz, the correct answer is "Students do not need to worry about budgets until they have graduated from college." = TRUE ????? I disagree. 1) Interactive quizzes are a good idea, but need to be edited for incorrect answers. Also, detailed answer keys would be helpful explaining why the answer is right / wrong, as opposed to just memorizing a point without understanding it. 2) There are some good links to outside sources such as Khan Academy. 3) I think Chapter 15 is a very good chapter to have in the book. 4) There are quite a few good examples of business situations / cases reinforcing some of the Theory in the book. Sorry, I included a lot of the points for this category in the other answer, so there is quite a bit of overlap. I tried to be thorough, as I do like the idea of having these sources available to students, but they need to be strong for me to supporting them. - Chapter 7 - Benchmarking doesn't even discuss the idea of purchasing and studying competitive products. Probably the first thing you do. I know Canon buys all of the new machines Xerox creates. - Chapter 7 - there is an organizational chart for a new start up that seems pretty silly. Far too many positions and specialization for a successful start-up at early stages. 1) Sources need to be stronger - Wikipedia is not acceptable for student papers, so it should not be acceptable for a text book. 2) Most of the business stories were good, and popular enough that they should remain relevant for a long time. 3) "Opinion" pieces should be removed, or very clearly indicated that they are "Opinions" on topics. 4) Some of the material needs to be edited by someone who has more knowledge on the subject material. For a University level course (degree granting program) I could not recommend this book. I'm not sure if a diploma program would find this suitable or not. The language is clear, and it is easy to reach which is good, but there is not enough data or evidence to support some of the claims, or explain the concepts in a manner where students will understand the points, as opposed to just accepting statements at face value and memorizing points without understanding the concepts in a more meaningful way. Again as outlined in my earlier points, there are too many errors with the concepts, or incomplete / inadequate definitions, explanations and theories. There should be more demonstration of theoretical principles with supporting graphs, charts and practical demonstrations of the concepts. This text has some concepts that it expects the reader to assume are true (some are actually incorrect as outlined earlier) but the larger problem is that they fail to explain the concepts adequately. Inventory control would be one example. Some of the theoretical concepts need more thought and analysis. Outsourcing and inventory in Chapter 9 should outline benefits and drawbacks for both. There are good reasons to outsource, and good reasons to manufacture yourself. By discussing pros and cons of each in more detail (with examples) students will be able to determine which strategy would make more sense. Often times it feels like the text tells anecdotal stories or recent trends (such as more companies outsource, so you should too) without going into advantages and disadvantages of the practice. The Two Factors graphic in Chapter 10 doesn't make a lot of sense. The continuum isn't laid out correctly. Chapter 11 was well done. It seems like the authors or contributors were stronger in this area, but still some issues to deal with. For instance they mention how important it is to forecast HR needs, but do not offer any explanation or examples on how this is done. Important topics are handled in 1 line of text. Barely mentioning the importance of referrals for hiring is an example. Chapter 12 is also an example of material that is too basic / simple. Union tactics seem to include striking or picketing, but fail to mention work to rule for example, press releases, and other tactics unions (or employers) an use in labour disputes. I really liked the format starting with the quiz (needs editing and detailed answer keys). I think the cases / business examples were good. They brought clear practical examples to some theoretical concepts. In Chapter 6 some anecdotal stories are too basic. The point being made here is that no one leadership style is effective all the time for all people or in all corporate cultures. While the democratic style is often viewed as the most appropriate (with the free rein style a close second), there are times when following an autocratic style is essential. The key thing is, you need someone to really thoroughly edit this book. Students should be able to cover one section of the material at various times and in various orders based on the needs of the instructors and how they have their course laid out. I do like the layout for the most part, and I think there is fairly good flow to the material being presented. Most of the cases and business examples were on point with the topics in the text. The text would have the ability to teach different chapters at different points in a course based on the needs of the instructor. It was actually engaging working through the quizzes at the start (add detailed answers & edit to make sure the content is correct). I thought there was good use of external videos at times as well. I probably found it more enjoyable than a standard text book. Links all seemed to work. I thought there were some issues with some of the graphics and content in terms of accuracy and benefit to the readers (mentioned in more detail in earlier responses). It was clearly laid out though, with clear indicators when you were being removed from the site (I read the web version). At first I didn't understand the footnotes not working, until I realized later they were all listed at the end. The footnote links didn't immediately link to the actual footnotes, which might be useful (although I'm guessing the vast majority of students would never check a footnote). Definitely needs some editing, not a lot, but some. I didn't note all of them, but some that pop out are occasional > ) ( symbols. I got a kick out of "The Canada" term used once or twice. The more important editing would be better descriptions / explanations and correcting some incorrect business points. (Mentioned earlier). No offensive / insensitive language was noticed. The book did discuss changing demographics in Canada which is great. There were a wide variety of businesses discussed (Apple, Amazon, Craft Beer companies, wakeboard inventors, etc.) Any points addressing gender, race, etc. seemed appropriate and responsible such as changing participation in unions comparing men and women, or the minority women involved in the strikes on college campuses. Backgrounds into some of the business owners wasn't fully explored, so I'm not sure whether certain businesses were lead by men / women / mintories / disabled, etc. There is always room to add more here, but it seemed well balanced. I can't recommend this book at this time. I teach a first year Entrepreneurship course which can be used as an elective to attain a Bachelor Degree. Some of my students have no business experience, but because it is an elective, I often get second and sometimes third year students who are interested in the subject and have a lot of business courses under their belt. I wouldn't recommend it for out Intro to Business Course either at this time, but in fairness, I have not reviewed the text book which is currently used in that course. 1) Its got a good structure and outline. 2) I like the quizzes and the interactive aspects of the text (need detailed answers though). 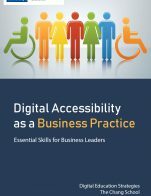 3) Like the actual business examples offering practical examples to some of the theoretical concepts. 4) It is an easy read with clear writing. 1) Needs a thorough edit regarding some poorly explained concepts. 2) Needs an edit to correct some basic mistakes in the quizzes and some of the topics covered. Some of the areas seem to be written by people who were not fully experts in that particular area. 3) Needs more content and material in some of the sections for a degree course. Some areas are too marginally covered, or offer content more as if it were an opinion of an instructor without any evidence to support the position. 4) Some of the material is not properly sourced which makes it difficult to demand professionalism from students regarding sourcing material. I think this book could be used for my course but more work is needed. It may be more suitable for a basic Introduction to Business course at a diploma level. The text covers all areas that would be appropriate for an introductory course on Canadian business. The glossary and index are effective in locating specific material. The graphics, diagrams, and charts are all accurate, up to date, and error free. They are supportive of the material and are unbiased. They add an analytical component to the material and help students to make a stronger connection with the theory. The content is up to date and relevant to the theory being covered. Up dates should be easy to implement due to the well organized nature of the material. The material is well written and is easy to understand for an introductory student. Complex sentence structure and vocabulary are avoided throughout. This would type of writing should be well suited for an international student as well as a first year domestic student. The text is consistent with the key terms and theories that are necessary to understand the nuances of the Canadian business landscape. The layout of the material is well organized and easy to read for students. The material is presented in digestible portions with a good mix of bullet points, diagrams, and videos. Headings and subheadings are appropriate and allow the reader to easily locate pertinent information. Topics are logical and well laid out. There is a clear progression of the material, building a foundation for students to comprehend more complex elements later. There were not observed interface issues with the material. Text, graphics, charts, etc., all were displayed correctly. No grammatical or spelling errors were observed. Diversity and various points of views were not covered. More cultural norms or gender issues could have been covered in appropriate areas. For example, in the chapter "Motivating Employees", the information was fairly superficial. Some depth could have been covered about these types of issues. No insensitive or offensives language was observed. I would recommend this text book for students that need a basic understanding of the Canadian business landscape. This would be especially appropriate for international students that are unfamiliar with western norms.